…Mr. President, and Senators, having made the announcement which the occasion seemed to me to require, it only remains to me to bid you a final adieu. 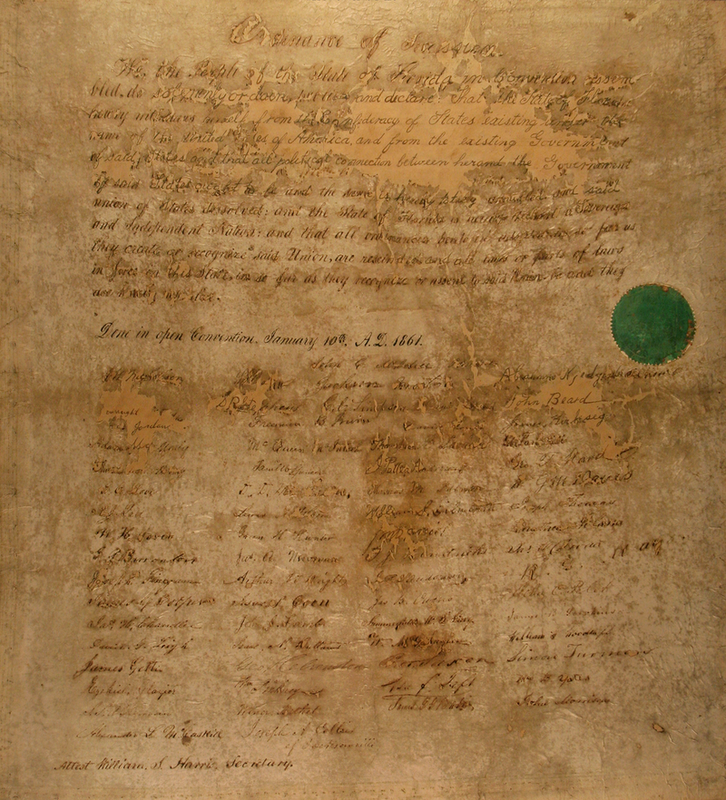 As stated in the farewell address, most Southerners believed that the states were sovereign and had joined together to form a nation under the U.S. Constitution. They felt that a state could withdraw from the Union and join another political entity, if the people of the state desired. Relying heavily on their interpretation of America’s founding documents, arguments and debates by the founding fathers, and principles by John C. Calhoun, Southern politicians felt that their states had a Constitutional right to secede (withdraw) from the Union. Significantly, it wasn’t just Southerners who recognized the right of secession. During the War of 1812, New England states – unhappy with the war’s destruction of their seafaring economy – threatened to secede. 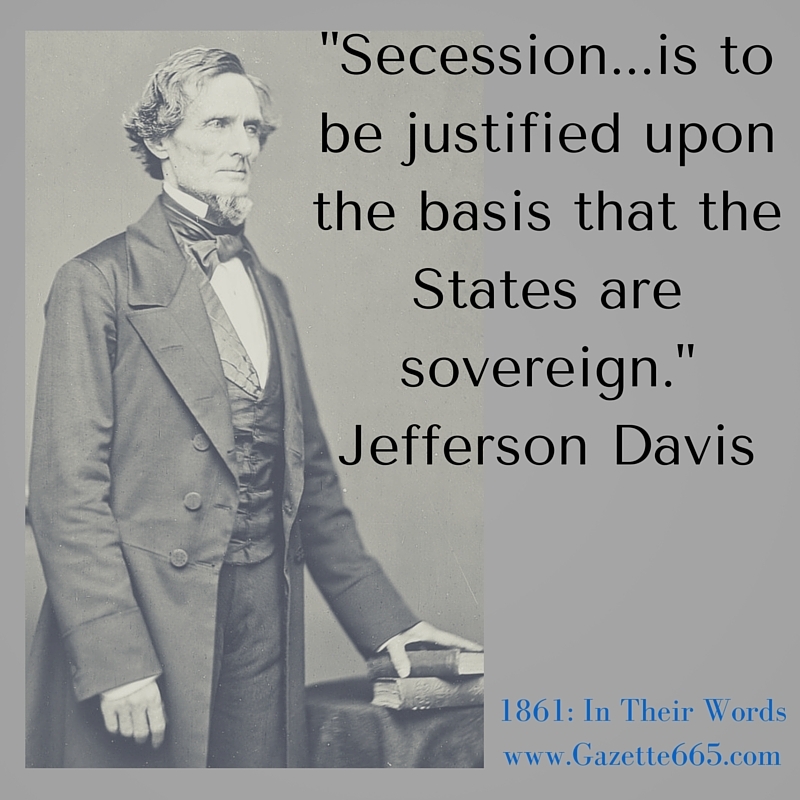 Secession was not a new idea in the 1860’s, but that decade was the first (and only) time it was actually carried out on the state level. This is a topic that has consumed pages and pages in books, and there are numerous arguments for and against it. (You will get to Lincoln’s 1861 argument for perpetual union in a couple of weeks). While we may not agree with the political idea or the causes leading to secession, it is important to acknowledge what people thought back then and seek to understand it in its historical context. As the states formally seceded, their congressmen resigned and returned to their homes. 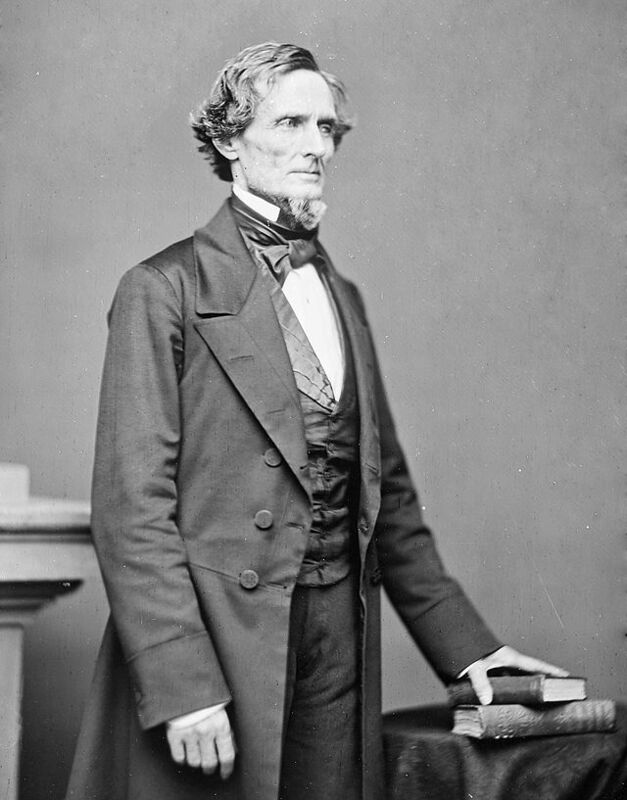 As a senator from Mississippi and a leader of the Southern congressmen, Jefferson Davis made his farewell speech to the Senate after his homestate seceded and recalled him from his national post. Jeff Davis passionately explains his and his constituents views and walks out of the chamber without receiving a verbal reply, though certainly many don’t agree with him. In 1861, two viewpoints are clashing. Human emotions of “I’m right, you’re wrong” also factor into the situation. And – for some people in 1861 – the moral question of slavery was looming in the mind…all mixed up and intertwined with states rights. America has thrived on differences of opinions. It is one of the few nations in the world were speech is free and citizens can have different ideas. That freedom of ideas would be tested in the Civil War. As to the actual outcome after the crucible…well, since there are still about 100 different ideas on the Civil War…it looks like freedom of thought and speech survived. P.S. What are some of the ironies you see regarding freedom of speech during 1861? I wonder how confident the first seven states were that the other Southern states would joint after hostilities (Fort Sumter) began? Obviously, the Southern states were overmatched even when the other four had joined. It seems almost reckless to open hostilities prior, unless the opening of hostilities was some kind of pre-requisite or catalyst for the other states to join the Confederacy.